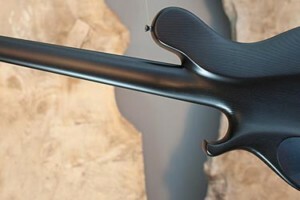 The Pangton Fan Fret has an ash body and a maple neck, reinforced by carbon. 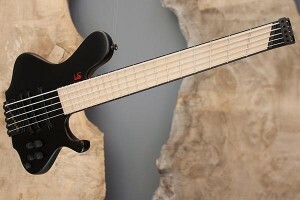 The fingerboard is Maple framed with ebony, and the whole bass is stained black with an acrylic satin finish. Le Fay includes three of their single-coil pickups matched with active/passive electronics, switchable via the push-pull volume knob. 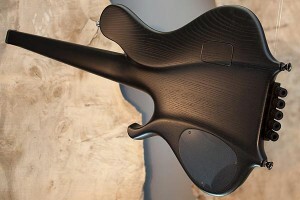 Tone controls include a 6-way pickup selector, boost and treble boosts and a passive treble cut. The Le Fay Pangton Fan Fret is available now for €4,600 (approximately $6,166 USD). 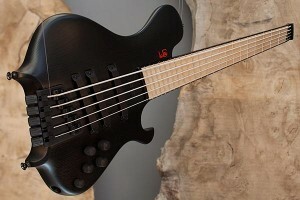 For more info, visit the Le Fay website. interesting look would love to play one. 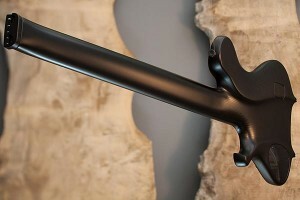 Put an ebony fretboard on it and add an alder body with a nice gloss finish and I’d pay that price.